The dollar slipped back against major rivals on Thursday on the eve of key US inflation and industrial data, and following stronger-than-expected US retail sales. The Chinese yuan meanwhile hit a record post-revaluation high as US negotiators began talks in Beijing hoping to prompt their hosts to introduce a more flexible exchange rate. In early European trading on Thursday, the euro firmed to 1.3224 dollars from 1.3212 dollars in New York late on Wednesday. The dollar eased to 117.38 yen from 117.50 yen late on Wednesday. "The dollar has been buffeted around lately with some stronger US data challenging the view... that a significant slowing is underway with rate cuts priced in next year," ABN Amro currency analysts said. The US Federal Reserve had on Tuesday kept its key interest rate on hold at 5.25 percent for a fourth straight meeting -- as expected -- but the language in its accompanying statement showed concerns about soft economic conditions. Meanwhile Thursday, participants were tracking US Treasury Secretary Henry Paulson's visit to China, where he called again for more currency flexibility from China in the short-term and a freely tradable yuan in the medium-term. The yuan closed at 7.8185 against the dollar although it has still appreciated less than four percent since its July 2005 revaluation, and China gave no indication Thursday it intended to allow its currency to trade more freely anytime soon. Paulson put China's management of its currency, the yuan, at the top of a list of concerns the United States wants addressed to narrow a bilateral trade deficit that threatens to hit a record 240 billion dollars this year. The greenback had risen Wednesday on news that US retail sales rose 1.0 percent in November -- the sharpest increase since July. The report sent the dollar rallying above the 117-yen level as it eased concerns that the US housing market slowdown was affecting consumption, thereby dampening speculation of an early rate cut next year, dealers said. Dealers will closely watch the US consumer price index (CPI) and industrial production data for November, both due Friday, to determine that the US economy remains robust to ward off an early rate cut next year. Elsewhere, the pound got an unexpected boost on Thursday from higher-than-expected British retail sales figures for November. 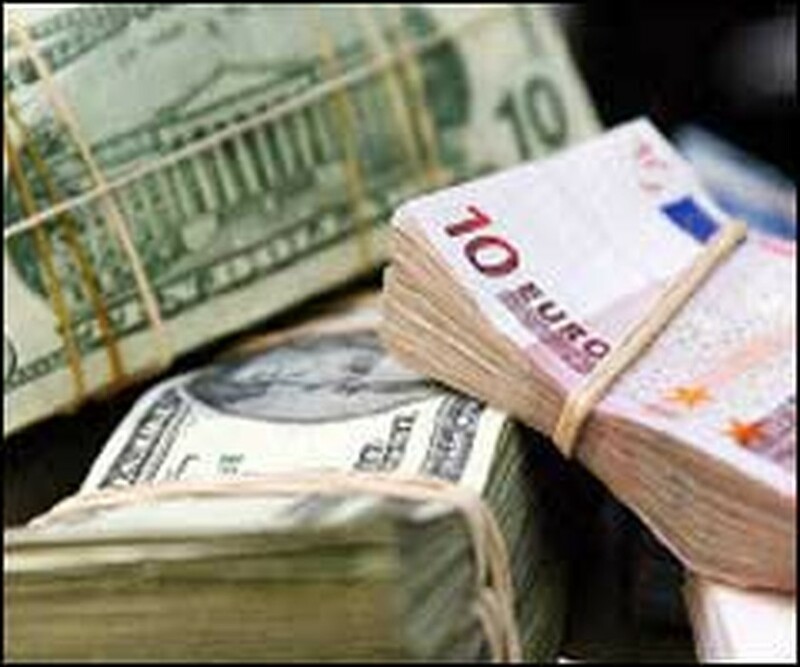 The euro was changing hands at 1.3224 dollars against 1.3212 dollars on Wednesday, 155.26 yen (155.34), 0.6723 pounds (0.6717) and 1.5973 Swiss francs (1.5940). The dollar stood at 117.38 yen (117.50) and 1.2077 Swiss francs (1.2063). The pound was being traded at 1.9672 dollars (1.9667). On the London Bullion Market, the price of gold rose to 628.75 dollars per ounce, from 624 dollars late on Wednesday.